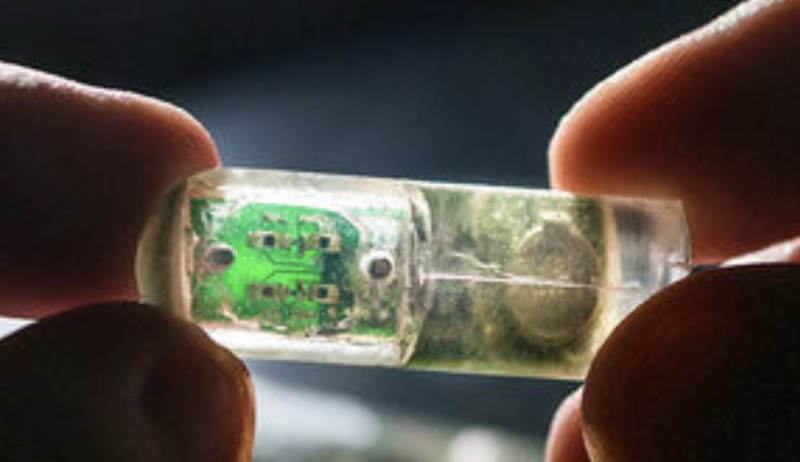 MIT engineers have designed and built a tiny ingestible biosensor* capsule that can diagnose gastrointestinal problems, and the engineers demonstrated its ability to detect bleeding in pigs. Currently, if patients are suspected to be bleeding from a gastric ulcer, for example, they have to undergo an endoscopy to diagnose the problem, which often requires the patient to be sedated. 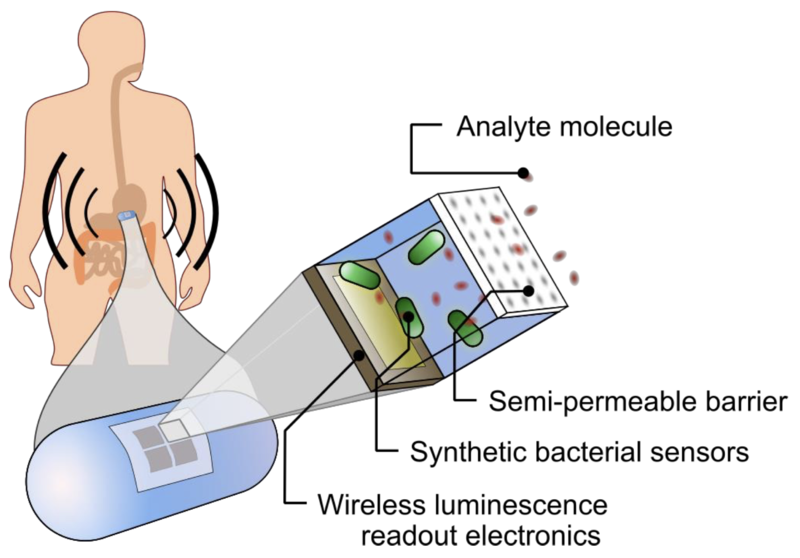 If the engineers can shrink the sensor capsule and detect a variety of other conditions, the research could potentially transform the diagnosis of gastrointestinal diseases and conditions, according to the researchers. The researchers showed that the ingestible biosensor could correctly determine whether any blood was present in the pig’s stomach. They anticipate that this type of sensor could be deployed for either one-time use or to remain in the digestive tract for several days or weeks, sending continuous signals. The sensors could also be designed to carry multiple strains of bacteria, allowing for diagnosing multiple diseases and conditions. * The sensor requires only 13 microwatts of power. The researchers equipped the sensor with a 2.7-volt battery, which they estimate could power the device for about 1.5 months of continuous use. They say it could also be powered by a voltaic cell sustained by acidic fluids in the stomach, using previously developed MIT technology. ** For example, one of the sensors they designed detects a sulfur-containing ion called thiosulfate, which is linked to inflammation and could be used to monitor patients with Crohn’s disease or other inflammatory conditions. Another one detects a bacterial signaling molecule called AHL, which can serve as a marker for gastrointestinal infections because different types of bacteria produce slightly different versions of the molecule.